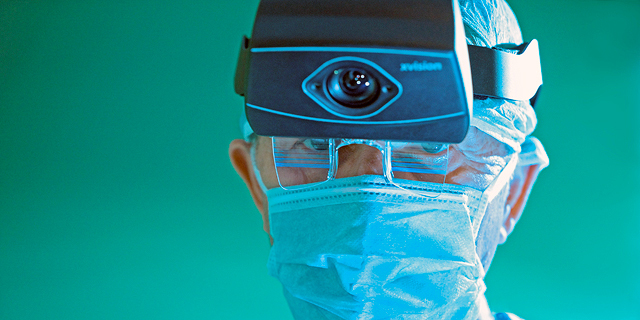 Augmedics develops an augmented reality headset for surgical procedures. Called xvision, the headset projects X ray-like 3D visualization of the patient in real time, allowing surgeons to "see" through the patient's skin, muscle tissue and bone. The imaging is projected onto the surgeons' retina using the transparent display headset, allowing surgeons to simultaneously look at their patient, as well as seeing the necessary navigation data without averting their eyes to a remote screen. Founded in 2014, Augmedics is based in the northern Israeli town of Yokne'am. The company has raised $8.3 million to date, in addition to the $2.4 million of grant funding the company received from the Israel Innovation Authority, according to Pitchbook data. It employs 20 people. Would it be possible to look through sheet rock and see wires and pipes in walls or through the walls and see termites? No wonder,zero comments, as nobody understand how they do it. Advertizments looks like some magic show from the fary tales. This is nothing new. Goggles like this were advertised at the back of comic books 60 years ago!